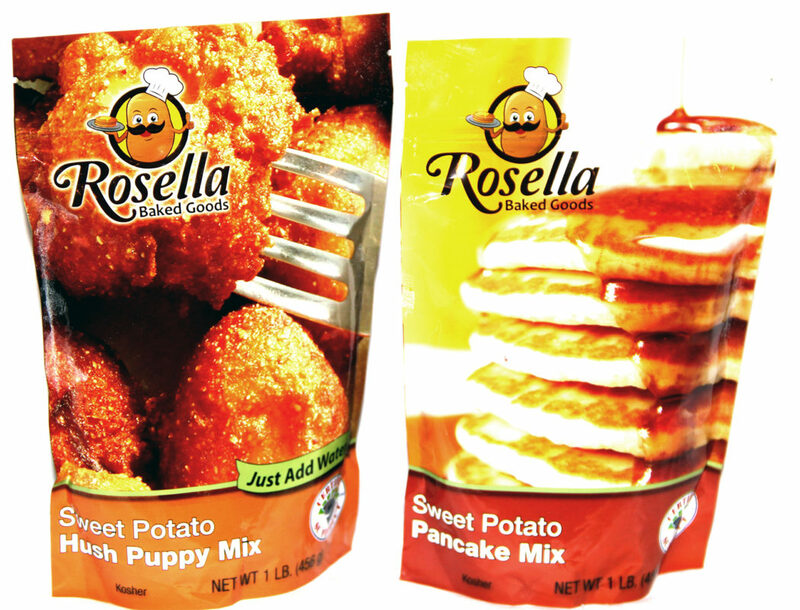 Rosella Baked Goods derived from a small seafood restaurant in Columbia, South Carolina called Somethin’ Fishy owned and operated by Mr. Curtis Cole. At the restaurant Curtis would make his famous southern sweet potato hush puppies for his customers who would rave over them! Curtis always had a love for cooking. As a child, his mother Rosalie Cole and grandmother Ella taught him how to cook. Those lessons stuck with him him as an adult, where his love for cooking blossomed into the seafood restaurant. Somethin’ Fishy is a local gem in South Carolina and invaluable part of its community. All raving about his Sweet Potato Hush Puppies and Sweet Potato Pancake offerings. After many rave reviews and requests from customers all over, Curtis, along with his son decided to take the show on the road. They decided to produce an easy to make mix to bring that fresh cooked goodness right to your door. So in 2013, Rosella Baked Goods was born! Today his son and daughter-in-law run the company and strive to bring delicious products to your breakfast, lunch and dinner table. Enjoy!! !